Description: The Company and the Role:A Global Company providing trusted surveillance and navigation systems for land and sea environments. With a proven 250 year history, synonymous with the best traditions of nautical achievements. The Company provides ground breaking radar technologies and capabilities of detecting the smallest of targets in clutter. The Company meets the surveillance, safety and security needs of a large variety of land and sea clients across the globe. Description: An Estate Maintenance Operative is needed to perform general maintenance duties on a prestigious country estate. Duties include general maintenance (painting, basic plumbing, and carpentry) but also some secondary duties: driving, general site security, assisting the management with estate events and assisting on-site contractors with larger projects. Excellent general DIY skills are a must as this role does not require formal qualifications. However, you will be expected to accomplish jobs independently through hard work and solid problem-solving skills, as well as a love for outdoor country pursuits. Description: We are looking for Driver (s) who is qualified to drive a 3.5 Tonne Vehicle and be over the age of 25 for insurance purposes. These Driver (s) have a daily route and schedule but is not a target driven role, so it is a great job for a safe, charismatic driver. The role of Driver will be to effectively be collecting stock from Charity shops or other suppliers in a timely and professional manner, delivering the highest level of customer service. Description: Our client is seeking to recruit an enthusiastic, self-motivated Accounts Assistant to support their business. This role is a permanent full-time position, although our client would also consider part-time. Description: Our client wishes to recruit enthusiastic, self-motivated HGV Recovery Technicians to join their in-house team providing recovery assistance. HGV Drivers (C+E) with relevant experience and qualifications a distinct advantage but they are willing to train someone with the right \"can do\" attitude and confidence to learn how to recover commercial vehicles. 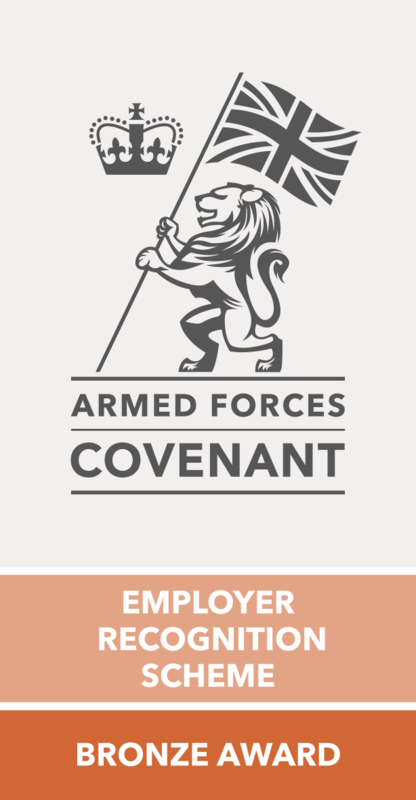 Applications from suitably qualified ex-military personnel (Royal Air Force, Royal Navy, British Army, Royal Marines) will be particularly relevant for this position. Description: An expanding healthcare solutions provider requires a field service engineer for their dynamic team. As field service engineer you will install, repair and maintain Alarms, CCTV, Fire Detection and Emergency Call Systems, Door Entry and Access Control systems, Monitoring and Control devices. The field service engineer works in a team that improves elderly and vulnerable peoples` quality of life by helping them to live more independently. Please note that there is call-out allowance plus overtime so that a field service engineer will earn more than the b ase salary advertised. Applications from ex-military personnel (British Army, Royal Air Force, Royal Navy and Royal Marines) are strongly encouraged.